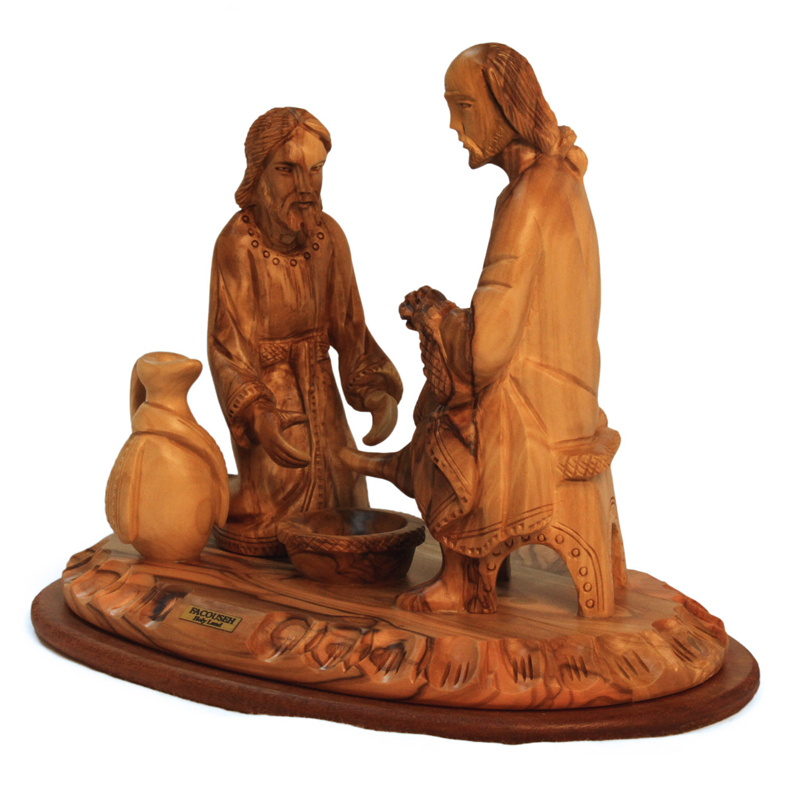 This scene is carved from a single piece of locally sourced olive wood and crafted by artisans in the Bethlehem area. This sculpture is made of locally sourced olive wood and crafted by a well-known master carver, Jeries Facouseh. A lifelong resident of Bethlehem, Facouseh is a Christian artist whose sculptures are sought after in the Holy Land. The biblical scene of this carving is from the story in John’s gospel in which Jesus takes the role of the servant and washes his disciples’ feet. 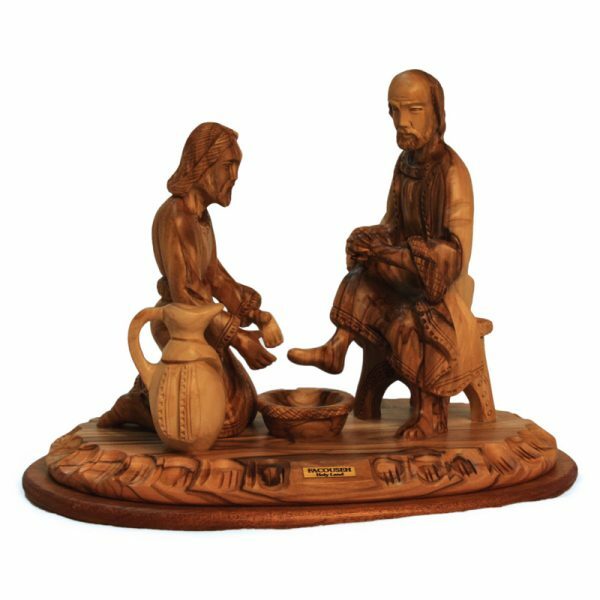 “Now that I, your Lord and Teacher, have washed your feet, you also should wash one another’s feet,” he tells them (John 13:14), proclaiming humility and service as key features of the Christian life.